The General 'Economy' Service is our most popular service. We recommend this clean if you are opting for an Ongoing/Regular cleaning (weekly or fortnightly) service. Depending on how much cleaning needs to be done in your home to start with, we generally start with a deep clean to get your home in a easy to manage state. From there we work on a weekly, fortnightly or monthly (it's your choice) to make sure your home is kept in excellent condition. On each visit we also concentrate on a deeper, more thorough clean of one area in your home such as the kitchen or master bedroom. 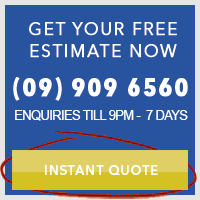 Over time, your home will be easier to maintain with this service. The General 'Economy' Service is perfect for the busy family with children and pets, who'd like the consistency of a regular clean to take the pressure of their home life. We have recently introduced Lawn mowing as an additional service for our regular/ongoing clients. It can be added to your ongoing cleaning package. At the moment we are currently having subsidised rates for lawn mowing. Get rid of the hassle of managing two companies to take care of your home by getting us to do your home cleaning and your gardens! Call Brenda at our offices on (09) 909 6560. Send us a quick email to support@lifemaideasy.co.nz and we'll be in touch with you within 24 hours to let you know of the next steps going forward.